Jewell Loyd scored a season-high 31 points as the WNBA-leading Storm improved to 8-2 in road games this season. 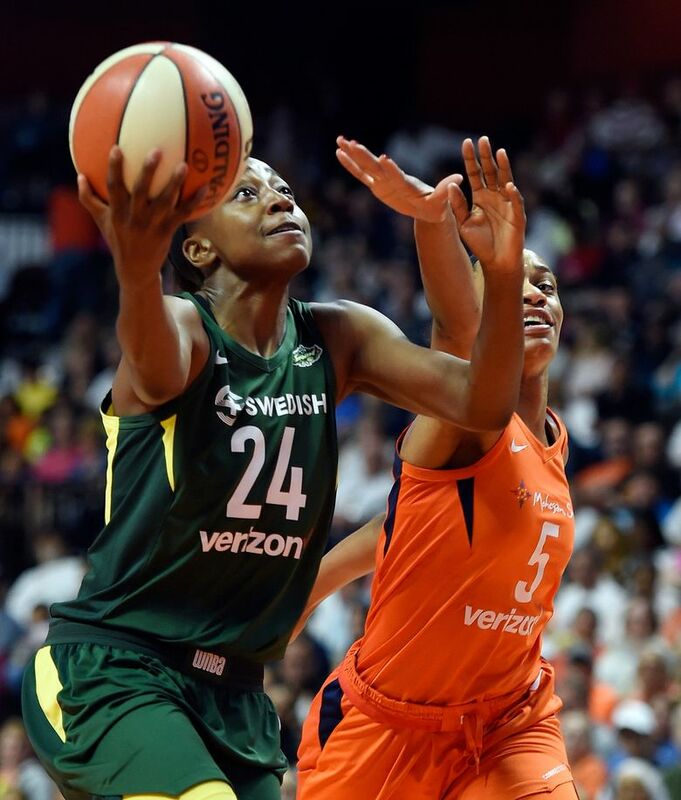 UNCASVILLE, Conn. – Jewell Loyd scored 20 of her season-high 31 points in the second half and the WNBA-leading Storm beat the Connecticut Sun 78-65 on Friday night before a crowd of 7,908 at Mohegan Sun Arena. Loyd was 11 of 15 from the field — including four of Seattle’s 11 three-pointers. Sue Bird added 17 points and three three-pointers to help the Storm (18-6) improve to 8-2 on the road. The Storm has a three-game lead on Phoenix (15-9), which has the next-best record. In the third quarter, Bird moved into third place, passing Becky Hammon, in league history with her 830th three-pointer. She increased that total to 832. Bird was playing in the 499th game of her career, tying DeLisha Milton-Jones for the most in WNBA history. Bird is expected to set the record for games played Sunday at Atlanta. Breanna Stewart of the Storm scored 10 points, far below her average of 22.3. The Storm won at Connecticut (12-12) for the first time in five years, taking advantage of the Sun’s 21 turnovers. Seattle made 12.